Now you can use the form to both display and edit phone numbers. Launch the form from Studio. Notice that it now contains a text area for the phone numbers. 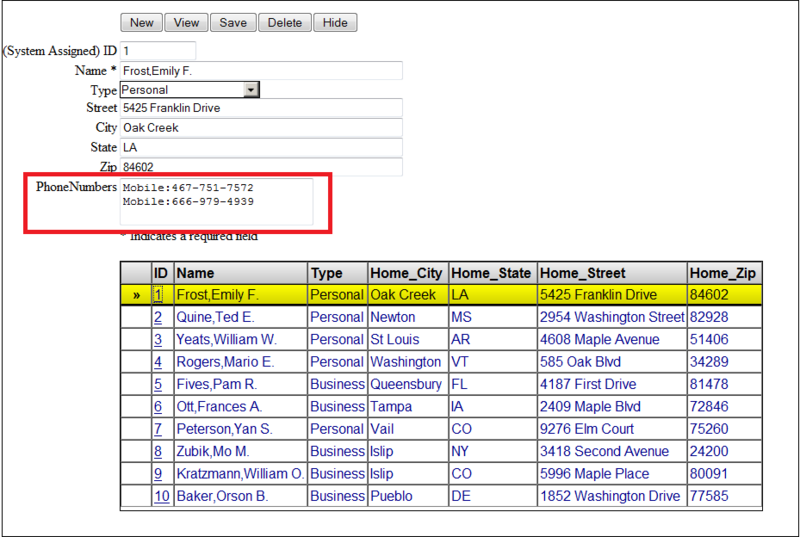 Click Search and then click on one of links in the ID column of the search table to load a contact. Notice that the form loads the contact's phone numbers into the text area. You can edit a contact's existing phone numbers and add new ones. After you make your edits click Save. Note that the phone numbers are line feed delimited. Also each number must be preceded by a type and a colon. Remember that the allowed types are Business, Home, Mobile, and Fax. 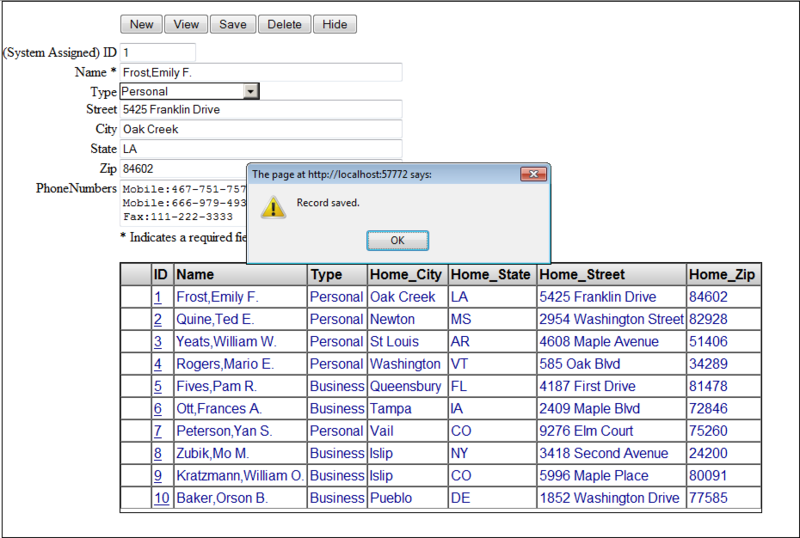 If you attempt to save the form with a phone number that does not include one of the valid types, the form will not save and it will display an error.